The word Osteopathy is derived from two Greek words meaning bone and dysfunction. Founded by Dr A T Still DO (1828-1917) of the United States in the middle of the 19th century and expanded in the UK by Dr Martin Littlejohn. Dr Andrew Taylor Still chose the name Osteopathy to highlight how the structure of the skeleton is vital in correct function of the body’s systems, and that misalignment of bones can cause dysfunction. Osteopathy is a primary health care system of diagnosis and treatment of the musculoskeletal framework. Osteopaths work to restore the body to a state of balance and good health where possible, without the use of drugs or surgery. If one part of the body is restricted, then the rest of the body must adapt and compensate for this, eventually leading to inflammation, pain, stiffness and other health conditions.When the body is balanced and efficient, just like a well tuned engine, it will function with the minimum of wear and tear. 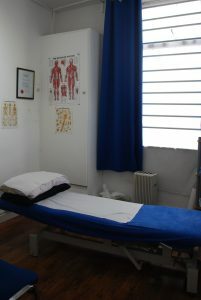 Osteopaths have a unique whole body approach to health care which concentrates not only on treating the injury but finding the cause and root of the problem. Logically to treat a condition, one has to first identify the problem, understanding how the injury occurred is of utmost importance. This is achieved by conducting a through medical case history followed by a through examination, once a diagnosis is reached then treatment will commence tailored to your individual needs. Manual techniques are applied to reduce pain and stress, relieve tension and strain in the muscles, improve posture, providing the body the opportunity to heal itself to restore health and well being. Before we start to treat you, we will make a full medical assessment. We take time to listen to you and ask questions to make sure we understand your medical history and your day-to-day routine. We’ll ask you about things like diet, exercise and what is happening in your life, as these may give clues to help our diagnosis. You will normally be asked to undress to your underwear and perform a series of simple movements. We usually look at your posture and how you move your body. 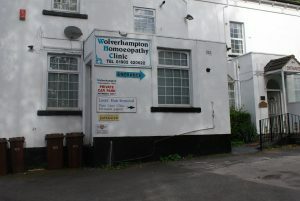 We may also assess what happens when we move it for you and see what hurts, where and when. Using touch, we may also find the areas which are sensitive or tight and this helps us to identify what’s going on. When we have done this, we can diagnose your condition. We may feel your pulse and check your reflexes and take your blood pressure and refer you for clinical tests, such as X-rays, if we think you need them. The first treatment generally lasts about 45 minutes (to allow for case history taking and diagnosis) and subsequent treatments tend to last around half an hour. Osteopaths also offer added exercises and health advice, to help reduce the symptoms and improve your health and quality of life.